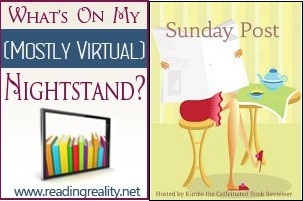 The Sunday Post AKA What’s On My (Mostly Virtual) Nightstand 8-11-13 – Escape Reality, Read Fiction! I’m surprised by how strong a reaction I’ve had to the death of Dr. Barbara Mertz, better known as author Elizabeth Peters (also Barbara Michaels). 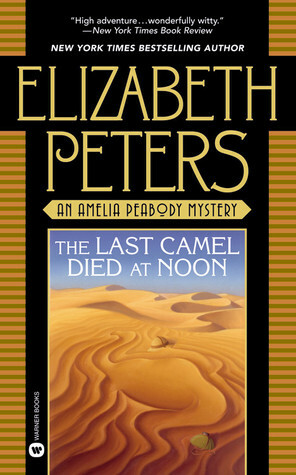 Probably because the character she created, Amelia Peabody, made such an indelible impression from the first book I listened to, The Last Camel Died at Noon, undoubtedly helped by the marvelous interpretation of Barbara Rosenblat. The series is written from Amelia’s first-person perspective, and I doubt that anyone was ever neutral. Readers either loved Amelia’s “voice” or couldn’t stand her. She mostly skewered the haters with her steel-tipped parasol. But in addition to a cracking good adventure, the Amelia Peabody stories always portrayed the long-term romance of a happily married couple who sometimes (often) argued ferociously. They also gave the reader an absolutely fantastic glimpse into the dawn of scientific archeology in Egypt, complete with scalawags, ne’er-do-wells, fortune hunters and thieves. And every season, another dead body to investigate. If you like strong, intelligent and extremely opinionated heroines, start with Crocodile on the Sandbank. I loved Crocodile on the Sandbank when I read it. I’ve also read and LOVED a few of her books written under Barbara Michaels. She was an amazing author and I’m lucky that I have so many more of her books to look forward to reading even though I’m sad to her of her passing. 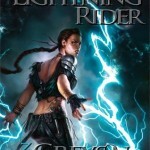 I’m even thinking that I should go back and reread COTS before I continue on with the series. 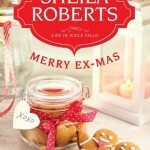 Have you read any of her books as Barbara Michaels?? 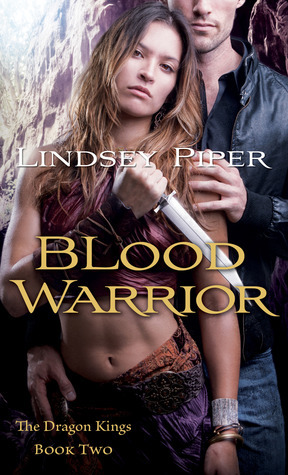 I’m going to read the Jacqueline Kirby series, that one I missed most of. But Amelia was awesome! It is so hard losing authors we adore. I am excited for your week ahead, and hope you have a good one! 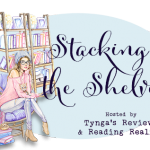 Your Sunday Post was amazing as usual. 500,000 views. WOWOWOW! Thanks for stopping by!